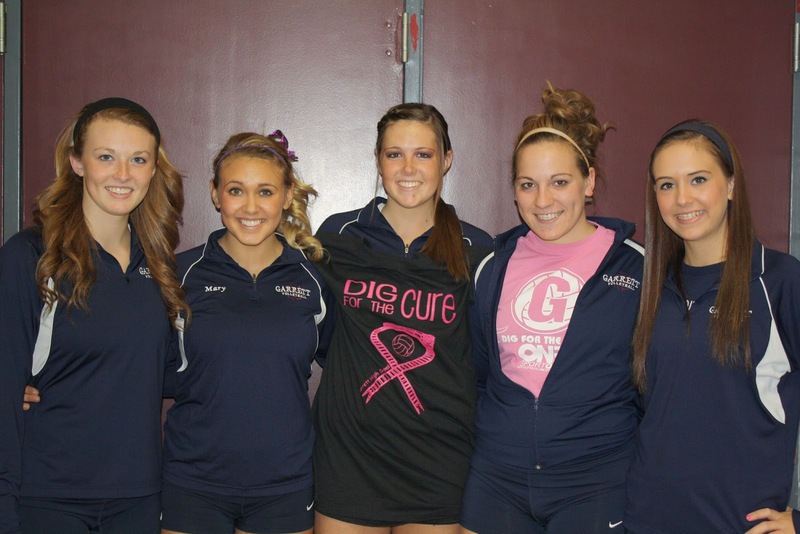 Get out to Garrett High School this Saturday, October 13, to see the Girl's Volleyball team "Dig for the Cure" breast cancer game. JV will be playing at 11am, Varsity at noon. The team has been busy selling shirts and seeking donations. A Silent Auction and bake sale will be in the commons area outside the Bateman gym. 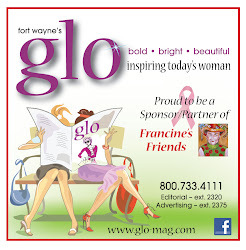 All proceeds raised will benefit Francine's Friends Mobile Mammogram program. Very special thanks from Francine's Friends, Parkview Comprehensive Cancer Center and Breast Diagnostic Center to these girls and their coach, Sallie Raferty, for thinking of us! Pictured with the "Dig for a Cure" T-shirt are junior and senior volleyball players: (left to right) Alaina Creager, Mary Hoeffel, Emma Reidley, Rachel Stafford and Michaela Scherer.